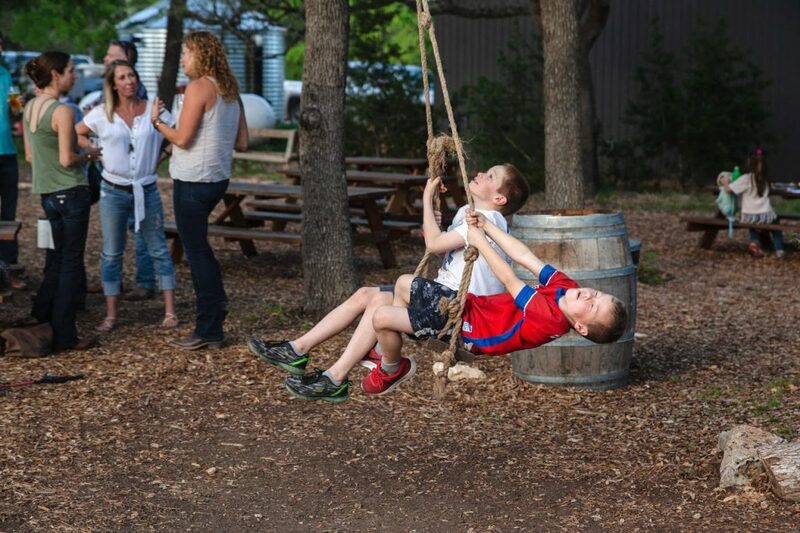 The grounds of Karen and Kent Killough’s brewery is an embodiment of the Texas Hill Country. 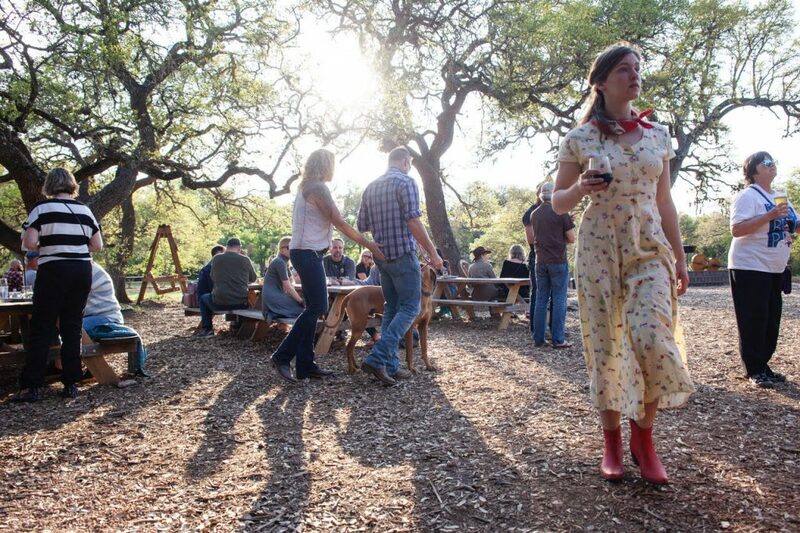 Picnic tables crowd up under gently sloped live oak groves where patrons can sip on beers brewed with water mined from directly underfoot. A wooden swing sways in the early evening breeze. Hummingbirds buzz around while music plays. It’s a setting of manicured ruggedness that demands relaxation out of even the most anxious Texans. 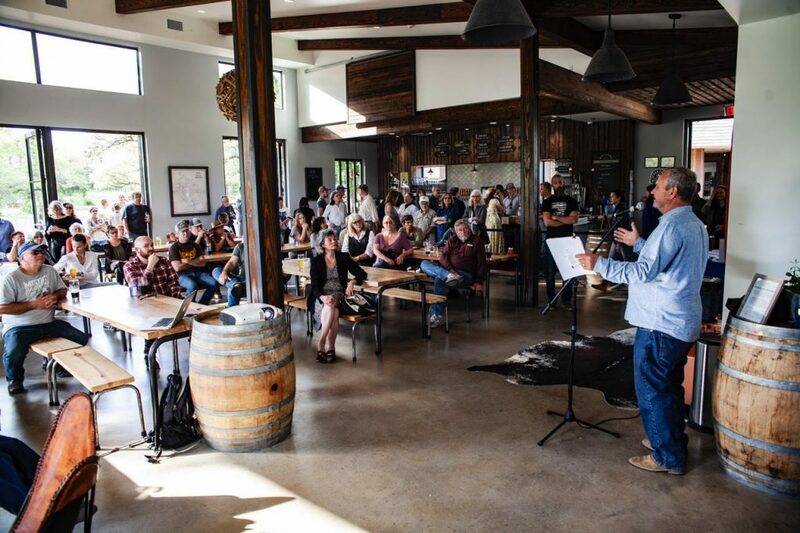 On Wednesday, March 27, Vista Brewing acted as host to some of those anxious Texans—Hill Country residents concerned about Kinder Morgan’s proposed pipeline project. The serene atmosphere balanced out the tense tenor of more than 150 attendees who traded stories and apprehensions about landowner rights, public safety, ecotourism and water protection while raising funds for the Wimberley Valley Watershed Association’s mounting defense against the pipeline company’s proposed route. David Baker, Executive Director of the Wimberley Valley Watershed Association gives a presentation on the scary possible environmental Impacts of Kinder Morgan’s Permian Highway Pipeline. Kinder Morgan, the energy company spearheading the pipeline project, plans to begin construction later this year with the goal of moving product through it before 2021. 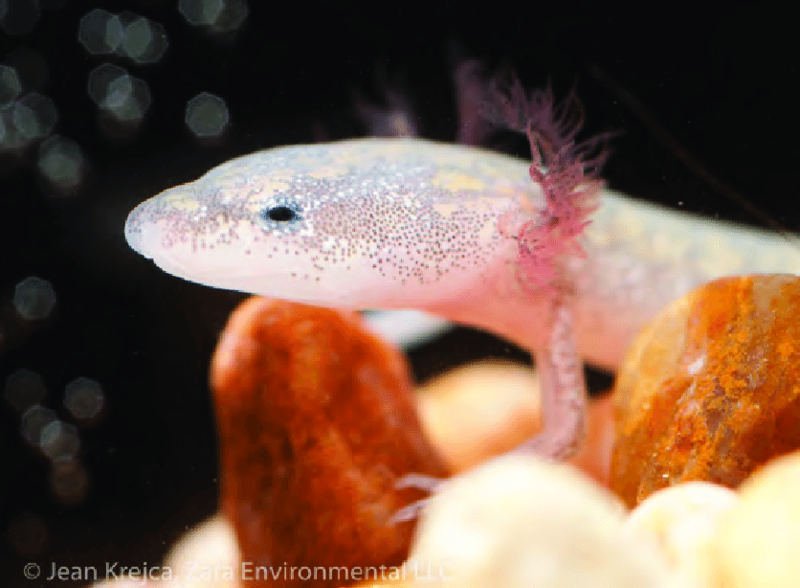 The rapid nature of the process has left many residents feeling taken aback, mistreated, and at a disadvantage in the effort to protect the Hill Country’s fragile ecosystem, as well as their private property. However, murmurs of growing momentum could be heard as news spread that more local governing bodies had come on board with the resistance. 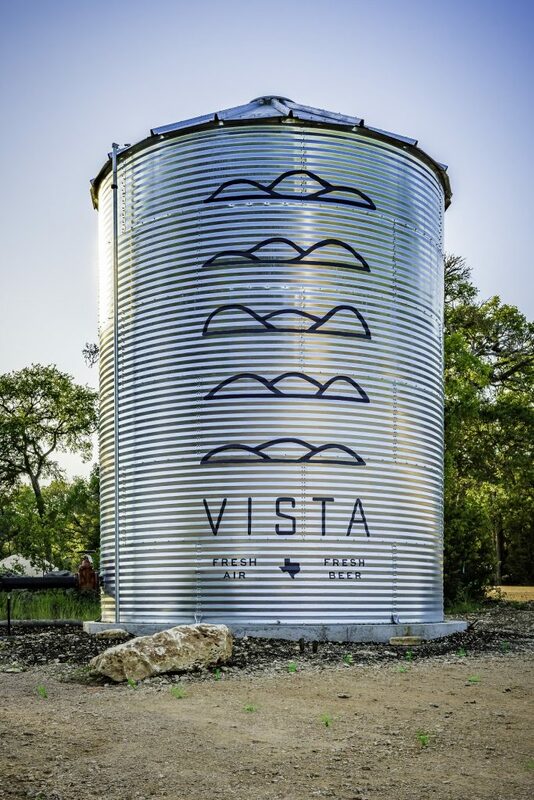 Furthermore, while the event was taking place at Vista, the Hays Trinity Groundwater Conservation District passed its own resolution opposing the project during their board meeting in Dripping Springs. The Barton Springs Edwards Aquifer Conservation District will entertain a similar position during a Thursday evening board meeting in Austin. Thomas Waymouth, communications director for WVWA, said the organization met it’s fundraising goal on Wednesday evening, and will be putting the funds to use in their defense campaign, which will address the scientific, legal and public engagement for the save the hill country campaign..
For some, the greatest concern is witnessing oil and gas industry power run amuck. In an impromptu speech, former Kyle mayor Lucy Johnson said that 10 years ago, her family worked to obtain conservation easements on their ranch land in Hays County. Lucy Johnson, former Mayor of Kyle, speaks about how Conservation Easements do not apply to oil and gas companies such as Kinder Morgan. “I’m proud to say that the majority of our land is under conservation easement, protected forever,” she said to applause. Zach Staples, who recently moved to the area, came up to the microphone to say he believes public safety is being overlooked. The Navy Veteran said he moved here after his service because of the lack of industrial infrastructure in the area. “I spent my last six combat deployments looking at infrastructure targeting and the fragility of energy infrastructure just like this,” said Staples. He said that pipelines pose an inherent risk to public safety due to their potential for explosive failures and that energy infrastructure comes with a target for our nation’s adversaries. 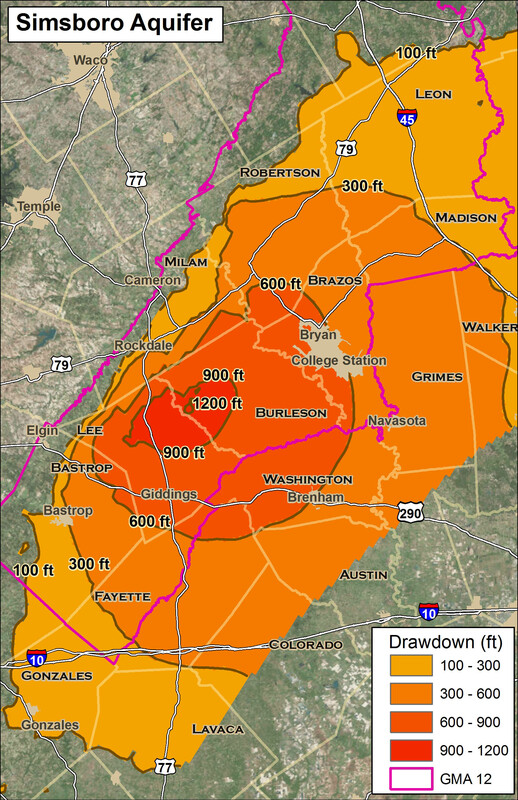 “Pipelines blow up,” he said “because of an operator failure, or because of an induced failure.” The pipeline is projected to pass through the city limits of Kyle on the I-35 corridor—one of the fastest growing areas of the country in terms of population. Others observe that imprudent planning poses grave environmental threats. 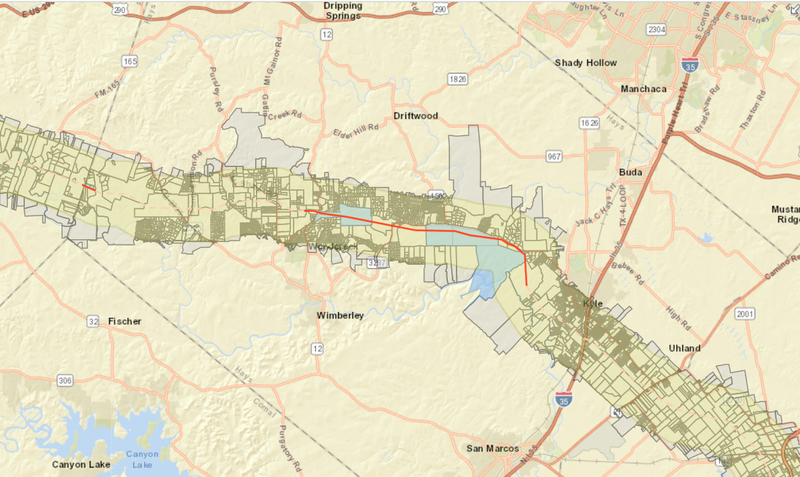 Baker pointed out the current route would cross 50 Hill Country streams and the Blanco River twice. “We don’t want that infrastructure here, we don’t think this is an appropriate place to put it,” he said. 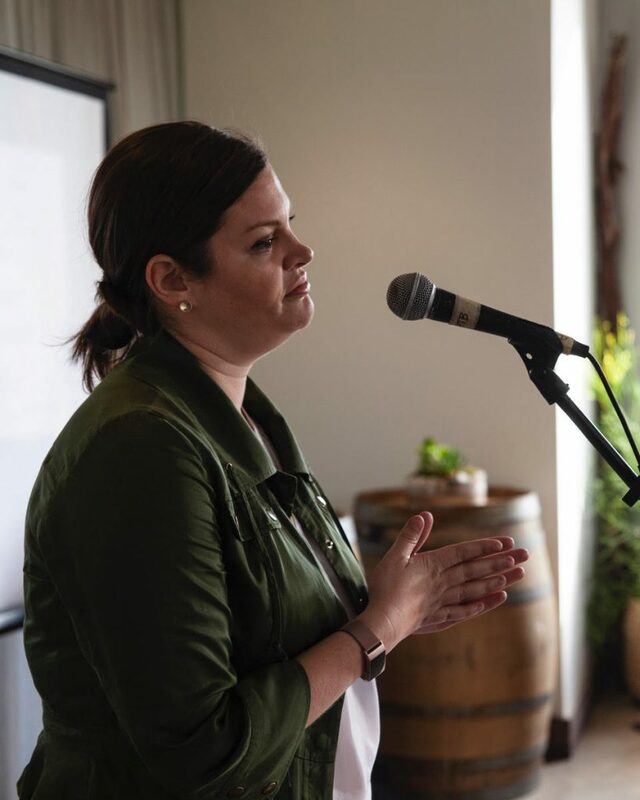 Karen Killough, while stressing that she and her husband—as owners of a brewery and purveyors of a relaxing atmosphere—are not in the business of taking sides on political issues, did express concern about any potential risk posed to local water sources. “We make all of our beer with well water, so it’s definitely a concern for our business. If that water is polluted we wouldn’t have a product,” she said. Last year, The Killoughs began working with a blossoming side project of the WVWA called the Texas Brewshed Alliance, which aims to protect the water that the exploding local craft beer industry relies on. Wednesday was originally reserved to raise funds for that project, but in the midst of this oil and gas industry infrastructure project, the focus shifted. “This issue was more pressing, so we’re happy to host, provide the place for people to come together and talk and rally behind this cause,” said Killough. Which is what Hill Country residents did. 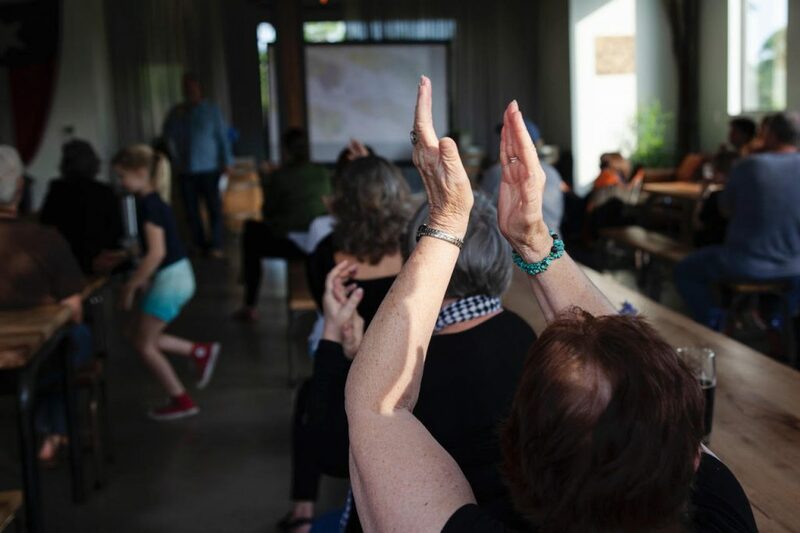 At a venue where one would normally expect to leave tranquil and calmed by the surroundings, Wednesday evening’s patrons and the Wimberley Valley Watershed Association left energized, united, and further prepared to mount a defense for what they hold precious. Please take a brief moment to complete the 3 steps below! We have prepared a resolution opposing the pipeline for businesses to sign and send us their logos. Please do so, and tell other businesses. 500 Businesses is our goal!